I've been adopted with Bette Davis...she's GORGEOUS! And I'm totally smitten. We are so happy together in our forver home. 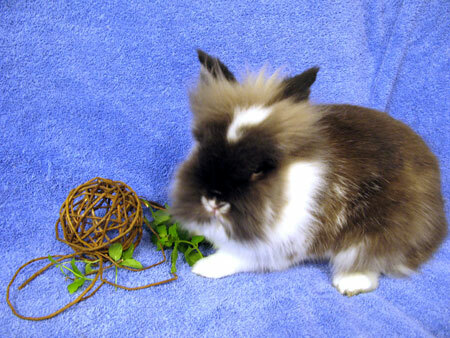 My name is Wooly Bully and I am a super-cute, neutered and sort of gnome-like looking little lionhead boy. I am a rugged and slightly gruff little man who likes my space and freedom. I am a nice bunny, don't get me wrong...but don't get your hopes up about cuddling or snuggling me, thank you very much! That's just not my style. I like to be petted, but am also an independent bunny. I would be a good match for someone who is experienced with smart rabbits and knows how we need our mental challenges and personal space. I'm all about being a cool, handsome and aloof dude. Did you also happen to notice that I am very easy on the eyes?